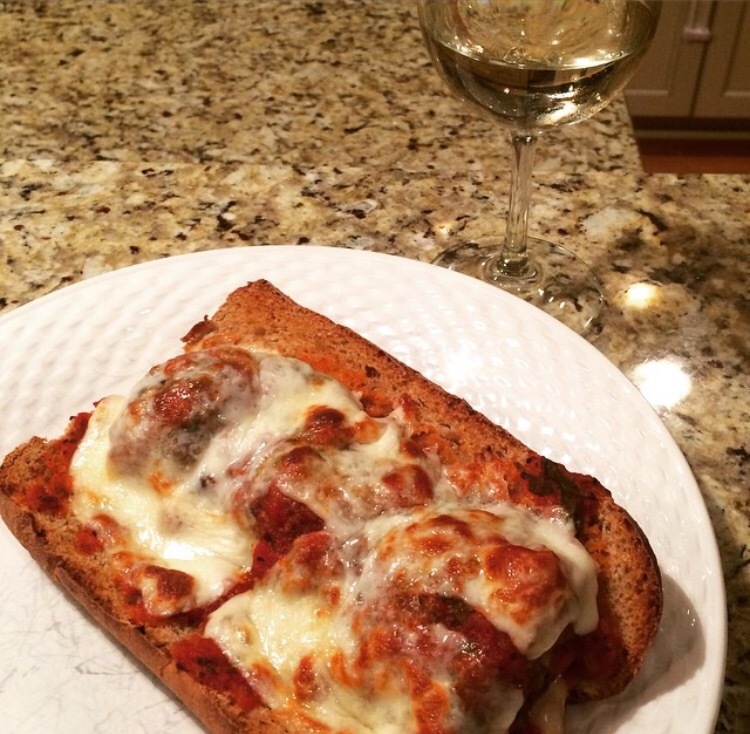 One of my favorite indulgences (besides a great burger) is a meatball sub. These are so easy and delicious. Perfect for a game day or Sunday feast. Mix together with your hands but don’t over mix. Divide into 4 parts and then divide each quarter into 3 meatballs, so that you end up with 12 meatballs. Place on nonstick baking sheet and roast in a 450 degree oven for 12 minutes. Warm marinara sauce in a medium saucepan (homemade is best but store bought also works). 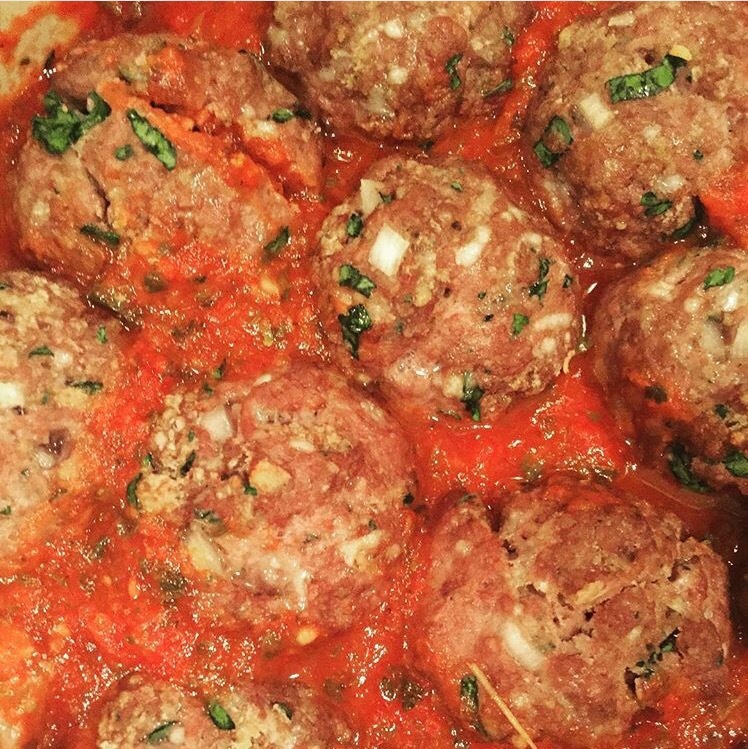 Place meatballs in sauce and coat on all sides. Slice some good Italian sub rolls almost in half. Later your meatballs, extra sauce, and sliced provolone inside your roll. Place sandwiches on a baking sheet and warm until cheese is melted and bubbly. I haven’t ever thought to use ground sirloin, but I bet that makes for one dynamite meatball.